LONDON/BEIRUT – As part of its massive humanitarian response to the Syrian crisis, the United Nations World Food Programme (WFP) is rolling out an innovative electronic voucher programme in Lebanon that will allow hundreds of thousands of Syrian refugees to meet their food needs and help boost the local economy. By the year’s end, some 800,000 refugees will be using these electronic cards – or “e-cards” – at participating shops in Lebanon under an initiative realized with the technical support of WFP’s private sector partner, MasterCard (NYSE: MA). 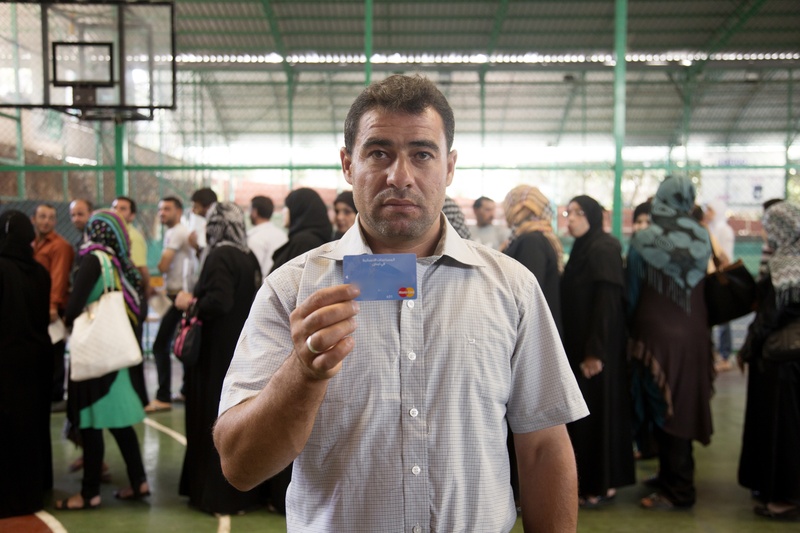 Besides Lebanon, WFP will be introducing a similar e-card programme for Syrian refugees in Jordan, again with MasterCard’s support, in a phased rollout for an initial 300,000 refugees by the end of 2013 that will continue into next year. The e-card collaboration is part of a larger, multi-year partnership with MasterCard, launched in September 2012. It twins MasterCard’s prowess in electronic payments systems with WFP’s vast experience assisting the planet’s hungriest and most vulnerable people. Piloted in September for some 2,000 Syrian households (around 10,000 people) in the southern Lebanese town of Nabatiyeh, the e-card programme will be gradually expanded to other parts of the country in the coming weeks, replacing WFP’s paper vouchers. Families will receive a card loaded monthly with US$27 per person, which can be redeemed against a list of items at participating local stores. That allows them to buy the foods that fit their needs, including fresh produce which is not normally included in traditional food rations. The e-cards reflect WFP’s broader shift away from physical food deliveries to vouchers and other cutting-edge forms of assistance that can be more effective and have a larger impact. So far in 2013, through voucher programmes for Syrian refugees, WFP has injected roughly US$ 192 million into the local economies of Lebanon, Jordan, Turkey, Iraq and Egypt.